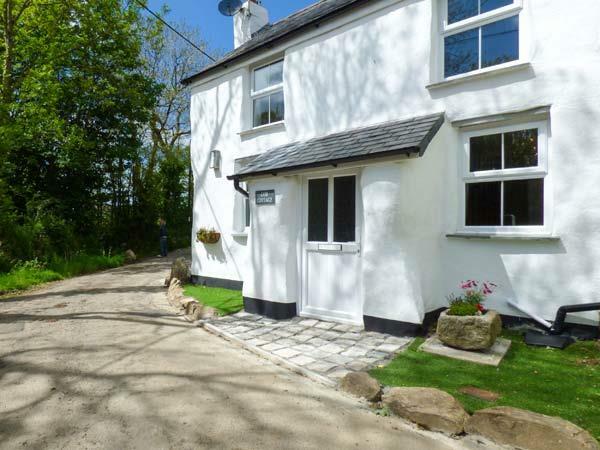 The holiday cottage of "Cob Cottage" can be found in St Columb Major near Newquay in Cornwall. Cob Cottage can sleep 3 people with 2 bedrooms to sleep your holiday party. Cob Cottage has a bedroom makeup of: Two bedrooms: 1 x double, 1 x single. Shower room with shower, basin and WC. Open plan living area with kitchen, dining and sitting area with woodburner. Utility. Cob Cottage would make a good holiday cottage for a couple. These are the reviews for Cob Cottage. There are 11 reviews. you took a long shot of the outside of the house which looks like we are getting a good size rental property, but when we came around the corner it was very small for the price we paid. Inside the shower room it was to small and the shower itself was not powerful enough, also the hand wash basin was to small. There was no electric power point to plug a shaver into. As we only used the main bedroom it could do with a very good cob webbing. Outside the property the car parking space is to small for our large car as i was asked to move it twice to allow large lorry's through, i could not reverse it back to the wall as i would have blocked the access to next doors property. Overall we could not class this property as a 5 star rental home but more like a 4 star. 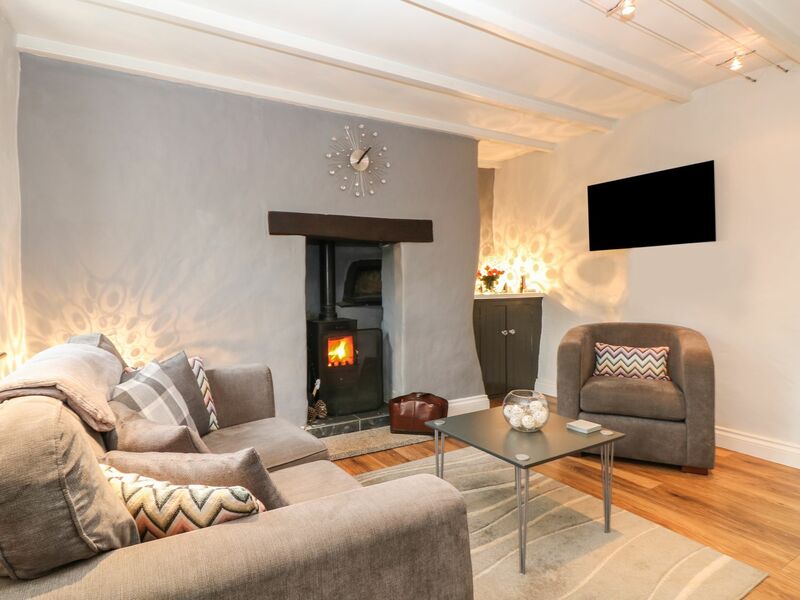 The cottage itself is beautifully maintained,ideal for a couple and pet friendly. I have now visited the cottage twice and have booked again for next year. The house has all the mod cons and is designed making full use of all the space. Beds are super comfortable. It's in a great location for exploring the many great areas of north Cornwall. Would highly recommend. We had a lovely time the cottage was spotless and comfortable also great for the dog she loved the garden area. Very quiet location great for sleeping . The owners were very welcoming leaving cream scones and orange juice on our arrival. Lots of information on where to go around the area and the beaches were fab. Found the spiral staircase very challenging trying to get the suitcase upstairs . But all together a very enjoyable week. Very comfortable living. A most enjoyable break. A lovely welcome package to meet us on our arrival. A return stay is definitely on the cards. Cob Cottage exceeded expectations and we had a very relaxing stay here. Lovely little cottage in the village of St Columb Major. Ideally located for local beaches and not too far from the main roads if you want to explore the area. The cottage itself is beautifully restored and immaculate. Everything you could need was provided, even a washing machine! The bathroom is compact but the shower is hot and powerful. The beds were exceptional - unbelievably comfortable!!! We experienced some of the best sleep we have had in ages due to the excellent mattresses. Loads of information is provided by the owners so you can get out and about and explore the area. The roads are fairly narrow if you're not used to them! Upon arriving we had a lovely cream tea waiting for us which was just what we needed after a long journey. For those of you looking for a quick review, here it is: Quiet, Beautifully renovated, Modern interior, Well Equipped, Spotlessly Clean, Well Situated; Newquay 9 miles/ Wadebridge 8 miles, Mawgan Porth Beach 3 miles via a road the width of a flymo, or 6 miles via a real road. Easy to find, Parking Space, Comfy Beds, Excellent Shower, Lovely Patio, Sheep, Friendly Locals, Sheep, Harbour, Sheep. Lovely place and ideal for two or three people looking for a rural but not isolated retreat and a lot of stunning quietness. Looking for a bit more? OK! We were very spoiled as we were one of the first guests to stay here (11th-18th July 2015). It was totally immaculate, nothing had been used and everything was pristine. The owners had left a lovely cream tea for our arrival and had provided plenty of instructions beforehand on how to get there, what to do if we had any issues etc - really helpful. Plenty of instruction manuals etc also provided in the cottage itself, plus lots of info on things to do in the area. So in order of appearance: Getting there: Easy-peasy, but be warned, the locals drive like there is no tomorrow and live on their brakes. Think Fast and the Furious: Talskiddy Drift. There are two ways into Talskiddy, one of them is suitable for a big car, albeit with respectable caution and slowing down, the other is a lesson in spatial awareness. No, it’s not an optical illusion, the road really does get thinner as you approach the village and it’s ‘fun’ for those of us with wide cars wondering what we'll do if someone suddenly appears from the opposite direction. So our advice is to use the road that has the mirrors. Or, for the more adventurous types, opt for the road with the bollard on the corner... From the A39 your Sat Nav will send you down Flymo Alley, slap your sat nav, go past this thrill ride of a shortcut and take the next right after the farm. (That's the one with the mirrors). Talskiddy: Small but perfectly formed. No pub, no restaurants, no nightlife, no noisy yoot with subwoofered lowered Saxo/Corsas ripping the stunning quietness up etc. Newquay it certainly is not, it’s a tiny Cornish hamlet with a handful of houses, a little ford and a tiny village green. Not a lot to be honest but if it was any bigger it wouldn't be anywhere near as nice. The cottage, (from the mirrored road), is down the left fork as you come into the village, follow the lane around to the left and the cottage is perched on the corner. Easy. Parking: No problem at all, it’s the dedicated gravel space at the left of the cottage. Cob Cottage: downstairs. Very modern and beautifully appointed with wonderful lighting and top notch kitchen appliances. The photos do not do it justice, it’s chic but totally useable and the whole place was spotlessly clean. The log burner was a welcome addition to the lounge area as it did get a little chilly on cooler, wet days. Plus it looks good when you’re reading a nice book or watching the wall mounted TV/DVD (take your own DVD's as there weren’t any when we arrived – though there was a good supply of board games). The wi-fi coverage is excellent and fast. There is fluctuating phone signal in the house / village. (Love the in-wall USB chargers in the kitchen and bedrooms by the way - genius!) The back stable door opens out to the rear garden/patio which is also lovely and has all you need for a BBQ, al fresco eating experience, book reading, star gazing, sheep counting etc, wonderful stuff and an excellent sun trap. Walk along the lane and there are lovely views across the fields. Walk around the village past the ford, up the hill and you can literally see for miles across to NQY airport. Back inside the cottage: Ascend the spiral staircase (quite an achievement with a suitcase) to the upstairs: the main bedroom has a lovely comfy double bed with beautiful fresh linen. Plenty of white fluffy towels are also provided. It’s these simple things that make or break your first impressions and they passed with flying colours. The bedroom has ample space for two adults to mooch around in without playing Twister. I’m 6’3 and never hit my head once in the house. I did slap the sat nav though. There is hanging space and a chest of drawers and a lovely Velux window above the bed which lightens the whole room. The bathroom is compact but well fitted. The power shower is awesome with a dual head function, one is a rainfall thing over your head, and the other is a microphone style for all budding X factor wannabes! LOVED IT!. Hot and powerful, just perfect after a day in the sand/ sea. The basin tap is particularly funky. Huge mirror as well. 10/10. So, there we are, Cob Cottage. What a wonderful little place in a lovely location. Perfect for complete relaxation, getting away from it all but still with easy access to the lovely beaches of the North Cornwall Coast. Fully recommended and excellent value. I stayed here shortly after it had been refurbished. Modern inside, rural outlook, pritty garden. Close to beach, 3 miles to Mawgan porth beach. Very pritty and modern inside with character outside. Very good base to tour north cornwall. we will be going back. If you're looking for other cottages around Cob Cottage, we've got some cottages below which may take your liking. There are 104 cottages within 5 miles of Cob Cottage - and they have reviews too.